Once you have arrived in Anchorage, you will want to purchase supplies (food and climbing) and pick up any rental gear. Arrange for shuttle, rail or airplane transportation to Talkeetna. Arrive in Talkeetna and check in with K2 office/confirm departure day and time. Go to Talkeetna Ranger Station for briefing. Return to K2 Aviation to weigh and sort gear at the K2 Hangar. Complete K2 climbing forms, purchase white gas, and declare any hazardous materials (such as butane). Store personal gear and get ready to go. Send emails and make phone calls before departing. Excess Gear: Each climber is allowed to carry 125 pounds of gear with them. Each additional pound is charged at $1 per pound. Base Camp on Denali is located at the 7,200 foot level on the southeast fork of the Kahiltna Glacier. The Base Camp is jointly operated by the air taxi services of Talkeetna. Its primary purpose is to provide information about weather and aircraft landing conditions, and to coordinate the arrival and departure of climbers. A radio phone provides reliable communications between the Base Camp and Talkeetna. The Base Camp manager will check you in, brief you on camp operations, and distribute fuel and sleds from our cache. The Base Camp manager typically provides twice-daily weather service broadcasts. When you return to Base Camp, the manager will contact K2 Aviation to request your return flight. For those climbing in areas where there is no communication, a predesignated pick-up time and place will be established prior to your departure. Climbers check in with the Base Camp Manager upon their arrival. At that time, they can get fuel. In the evening, the Base Camp Manager provides weather information via family band radio. Sleds can be found at Base Camp. Bring your own rigging. After climbing, check in with the Base Camp Manager to schedule your return flight to Talkeetna. 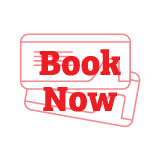 You will arrange a pick up time and place with K2 prior to departure. If you are traveling with a satellite phone, you may be able to contact us to alter pick up time. You will purchase fuel before flight and carry it with you. You will need to declare it as hazardous material. If you need sleds, place a request with our flight office so they can travel with you in the plane. Where should we purchase food for our expedition? Anchorage is the best place to purchase food for your expedition. Costco, Fred Meyer’s, and Carrs will have most anything you could want. Most shuttles will include a stop as long as you request. Where do we purchase fuel? White Gas: You can purchase Coleman Fuel/White Gas from our office. For the Kahiltna Base Camp fuel is cached there and our base camp manager will distribute it when you arrive. For those traveling to other locations in the range, you will need to purchase it at our office and take it with you. Butane/Propane: Several pressurized butane and butane/propane mix fuel containers are not approved for aircraft transport. Please keep this in mind when you are purchasing your supplies. We recommend “GIGA Power” or Primus Power Gas. Among the unapproved products are most MSR and Coleman products. K2 Aviation will carry the approved canisters for sale at the time of check in. How much fuel should we take? It is recommended that you take 1/2 pint per person per day. Where can I purchase climbing gear? Before heading to Talkeetna, you can stop by Alaska Mountaineering and Hiking or REI in Anchorage. They are located within a short walk of one another and they have a wide selection of gear for purchase. AMS has a climbing store that is a short distance from our office. You will want to check in with them ahead of time to see if they have what you need. 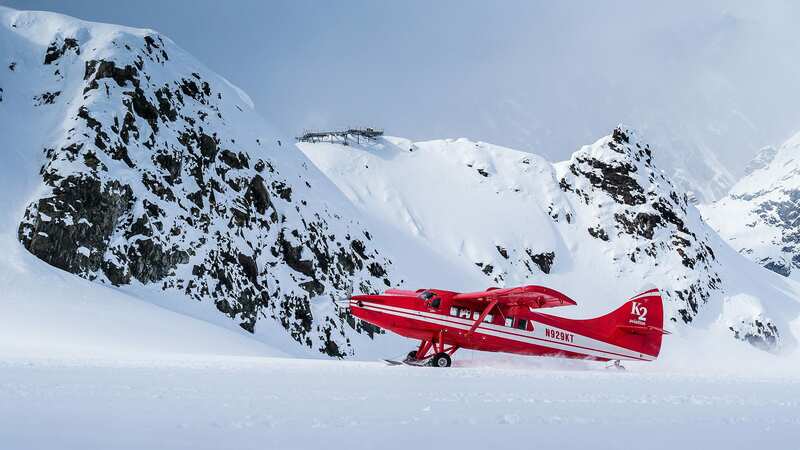 Your expedition has a few options for transportation between Anchorage to Talkeetna. Most expeditions choose a shuttle service because it costs less and allows them the flexibility of shopping on their way to Talkeetna. Some expeditions choose to fly or take the Alaska Railroad for their return trip to Anchorage. Our staff will be glad to assist you in making these reservations. A great way to travel back to Anchorage after your climb. This is a great option for most small groups. It is a efficient way to get in and out of Anchorage and Talkeetna. Contact our office in Talkeetna at (907) 733-2291 or go to our contact us button. We provide one-way and round-trip quotes. Please note that rates may vary. Please check directly with the accommodation. It is important to carry some method of communicating in the mountains; you will need to decide which will work best for your expedition. Cell phones have limited use in the mountains, and should not be counted on as an emergency form of communication. Monitored – National Park Service monitors the Family Band Radios from their 7,200 and 14,200 foot camps. Weather Report – Each evening the Kahiltna Base Camp Manager transmits the weather forecast at 8:10 p.m.
Good Coverage – Light weight and relatively good coverage make Family Band Radios popular when climbing. For climbs in remote areas, satellite phones are often the preferred form of communications. Remember, any form of communication in the Alaska Range may not be percent reliable all the time. Satellite phones work well, but may intermittently lose reception. K2 Aviation has seen an increase in the popularity of satellite phones or VHF aviation radios. Weather is broadcasted through a “family band” radio station twice daily. If your expedition is interested in renting a satellite phone, we recommend contacting Gregory Lee, a specialist in equipping climbers with lightweight and easy-to-use satellite phones. If you make a reservation IN ADVANCE, your satellite phone can be picked-up at K2 Aviation in Talkeetna. Basic handheld phones have voice and 2-way short messaging. Optional enhanced email capability is also available.